The Corsair AX860 power supply runs quieter, generates minimal excess heat and it’s earned the 80 Plus Platinum seal of approval, your guarantee that you’re making the right choice for smart, efficient power delivery. Because the AX860 is so efficient it operates without the fan even spinning at low and moderate loads. All cables detach from the power supply. During installation, this gives you the flexibility of using only the cables you need for a clean system build with optimal airflow. 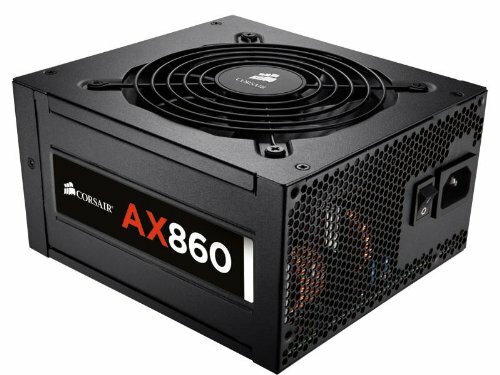 Built with High-quality 105C capacitors and upgraded components the AX860 is rated to run at 50°C and provide rock solid power throughout its seven year warranty.